If you’re a frequent Walt Disney World® attendee, you probably have heard of the attractions Disney has planned to build and expand over the next few years. In this blog, we discuss some of the new and upcoming rides, shows, and ‘lands’ coming to the most magical place on earth. Pandora – With this new attraction set to join Disney’s Animal Kingdom, guests can step into the world of Avatar. Soar with floating mountains, ride through bioluminescent trees on an alien river, and even fly on the back of an ikran. There will be so many new things to see on this alien planet, so don’t miss its grand opening this summer! Star Wars Land – Although it’s not set to open until 2019, this new land is sure to be astonishing. Making its home in Disney’s Hollywood Studios, this exciting new world is set to be the largest single-themed expansions in Disney history. With dozens of planets, trading posts, and characters to meet, you’ll want to make sure you get your tickets in advance. While you’re waiting, you can check out the new Star Wars-themed firework and drone show called Star Wars: A Galactic Spectacular. Toy Story Land – Have you ever wondered what it feels like to be a toy? Well in this new land, you can experience just that. With thrilling rides like the Slinky Dog Dash and Alien Swirling Saucers, Andy’s backyard will surely be fun for the whole family. Keep an eye out for when this new land is set to open. When you’re planning your next Disney vacation, keep in mind Rosen Inn International is your best choice because you won’t have to sacrifice price for quality. With fantastic amenities like free Wi-Fi, a pool, and a game room, your whole family will have something to do, even when you’re not exploring the parks. 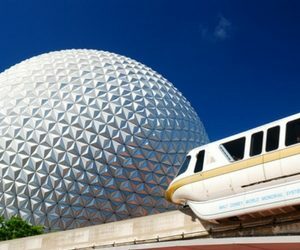 Located less than 10 minutes from Disney, you won’t have to worry about wasting time with a long commute. To book your next stay, call us today at 407-996-1600.